I started this blog two years ago, shortly after finally figuring out that my son's health issues all revolved around gluten. I had never considered blogging before. The idea of letting total strangers into my personal life seemed weird to me, and to be honest, I didn't think anyone would be interested. Deciding to blog came about as a result of feeling confused and worried about my son's future and not knowing exactly where to start when it came to feeding him and ensuring his safety when eating both at home and elsewhere. I realised that there had to be other people out there sorting through the same issues, and I wanted to connect with them. I was interested in reading the stories of others, getting tips, and asking questions of people who understood and had great advice to offer. Two years ago I didn't fall into the category of people with experience and resources at the ready. What I had was a very sick little boy (not yet 2 years old) who didn't understand what was wrong with him and a mother who was terrified that she wouldn't be able to provide him with a normal childhood because of his illness. 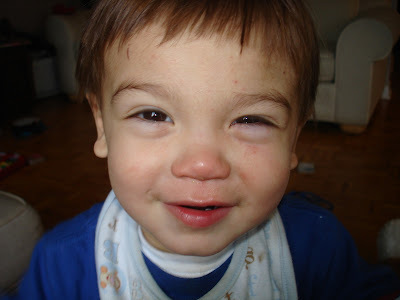 Swollen, stuffed sinuses, incessant drooling even as a toddler. This picture still makes me cry. I felt at the time that my contribution would be simply sharing our experiences and struggles in the hopes that others would be able to learn from my mistakes and perhaps share some of their own wisdom with me. 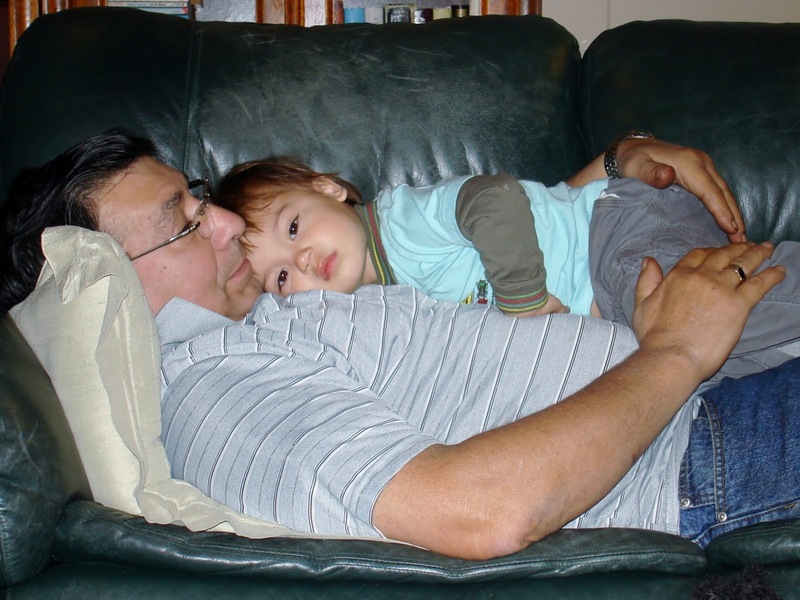 I wanted to connect with people of all ages, but especially with people who had children with Celiac disease, wheat allergies or gluten intolerance/sensitivity, because most resources that I came across were aimed at adults. I also hoped that as I figured things out, I would be able to expand my posts from general stories about how we're coping to include resources such as products, recipes, tips, and reviews to help my readers improve their quality of life and make gluten free living easier for them. Two years later, I still feel like I have a lot to learn, but I also feel as though I have more to offer. Much healthier and happier, two years later! I've made changes to the blog over time, adding pages and features that I hope are useful to you, my readers. I started the Gluten Free Weekly Menu Plan because I found myself making the same dishes over and over, and I didn't want that to become our new reality. There are now two years' worth of weeknight meal ideas on the Menu Plan page. Product and Restaurant Reviews are posted to give people an idea about how my family experienced something, so that they can then decide if it's something or somewhere that they want to try for themselves. The Recipe Page was created to help people put together simple and delicious meals for themselves and their families. As I became more comfortable with social media, I created a twitter account, @CeliacBaby. I'm enjoying connecting with people in real time. I have not yet created a Celiac Baby Facebook page, although I have been getting several questions about the possibility of one in the future. I've not decided yet. I'll let you know when I do! One avenue I have decided to explore is Pinterest. Over the past month or so I've spent some time investigating how Celiac Baby! Pinterest boards could be of value to my readers. I've no interest in opening accounts simply because a new site is popular, but Pinterest seems to be a great resource for those looking for inspiration and information. I'll be spending some time over the holidays preparing board ideas and I'll be sure and let you know once I get one up and running. I hope that you'll find that it complements what I've been doing on the blog. So where does Celiac Baby! go from here? Where do I begin? Aside from expanding into Pinterest, I have some great ideas for the blog that I can't wait to get up and running. I'm still ironing out a few details, but I can share some things. 1- Starting in January, I'll be writing a monthly gluten free cookbook review. I only reviewed two cookbooks this year, mainly because I was pregnant and nauseous for a good part of the year, and it wouldn't have been fair to be reviewing books when I could barely stomach most foods. Since I'm no longer pregnant, it's time to begin again. Have a recommendation? Have you written a cookbook and are looking for a reviewer? 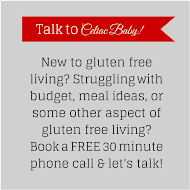 Send me a message at celiacbaby@hotmail.com or @CeliacBaby on twitter and I'll get back to you. 2- More Recipes! : I'm pretty good about getting the menu plan up, but not so great about getting those meal ideas translated into recipes for my readers. Mainly that's because with the exception of baking, I do a lot of my cooking by "feel", throwing together ingredients and tweaking quantities as I go. I plan on fixing that in the new year. Whether this will be in the form of a "recipe of the week" or in some other way, I haven't yet decided. But I do know that I plan on my recipe page being much fuller by this time next year. Again, message me with your requests or if you'd like to see your recipe featured on the blog. 3- Tips and Tricks: Sometimes all we need is the answer to a simple "How do I" type question. I often write posts about little things I come across, but those posts are not always easy to find, especially when you aren't quite sure what you're looking for in the first place. A section with simple, quick bits of information to make going gluten free easier will be incorporated into the blog in the new year. I have so many great ideas that I want to add to the blog, that I have to pace myself. The ones mentioned above are what I'm currently focusing on, but I have others that I'm working on in the background, to be rolled out when I have the time to dedicate to them that they deserve. I hope that next year I can continue to expand and reach people looking to connect with others living a gluten free lifestyle. I hope that I can continue to help and inspire those of you who already read and support me here at Celiac Baby! Mostly, though, I want to offer my thanks. 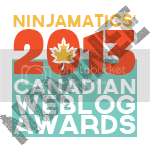 Thank you for reading and sharing what you find on the blog. Thank you for communicating with me on the blog and on twitter. Thank you for taking time out of your busy day to read my posts. I have enjoyed every second of writing this blog, and I look forward to what the new year (both on the blog and on the calendar) brings!